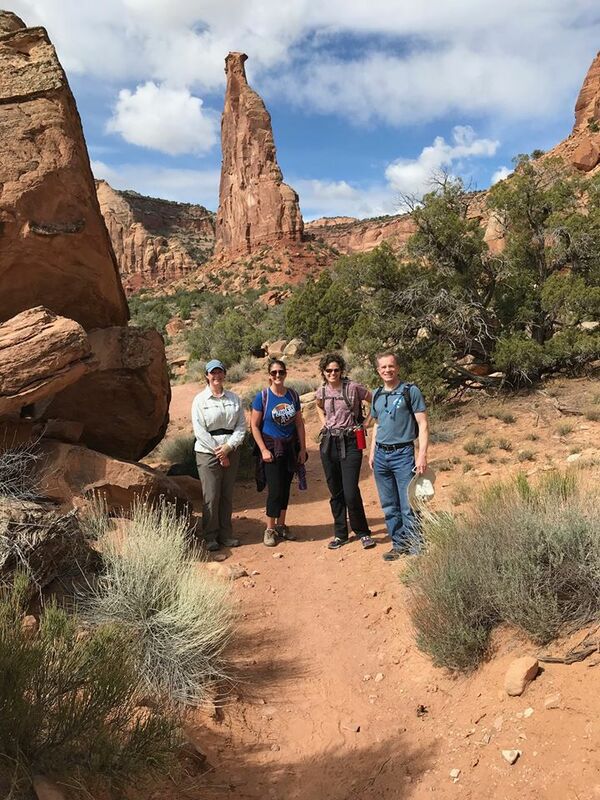 Five Boettcher Scholar alumni living on the Western Slope met for a hike into the Colorado National Monument west of Grand Junction on April 7. They enjoyed the five-mile hike in beautiful weather and were treated to the a sighting of several desert bighorn sheep, including a ewe and her two lambs. The attendees included Mike Moran (1983), Cathy Bonan-Hamada (1982), Hope Waibel (1976), Kristin Donahue (1994) and Beth Skelton (1984). They also enjoyed the company of the mother of a current Boettcher Scholar, Harriet Carpenter, mother of Courtlyn Carpenter. 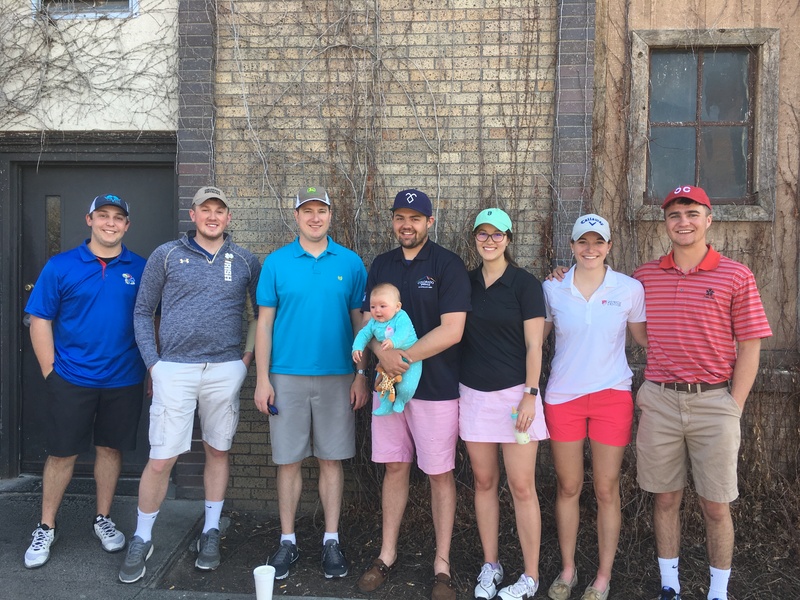 A group of Boettcher alumni and current scholars hit the links on Saturday, April 28 for a health and wellness event. After playing nine holes at Fort Morgan’s Quail Dunes Golf Course, they got together for a fun happy hour to cool down, catch up and network. The group consisted of Will Helling (2012), Austin Herman (2017), Brad Johnson (2017), Charlie Johnson (2010), Kaitlin Johnson (2009), Megan Neumann (2011) and Trey Thompson (2011). A group of Boettcher Scholar alumni met at White Tanks Regional Park near Phoenix, Arizona for a sunset hike that included after-dark scorpion spotting. 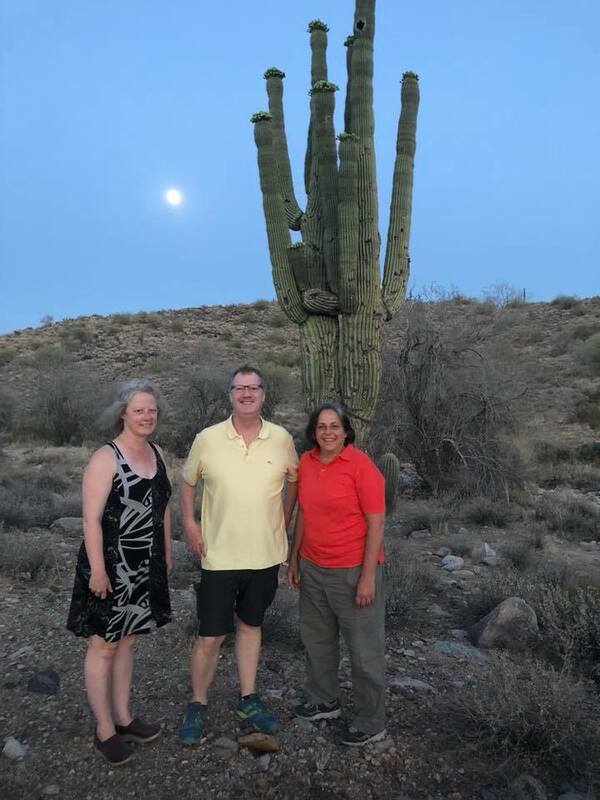 Tracy Wahl (1986), Keli Price (1976) and Pam and Martin Turman (1975) attended this fun outing on April 28. Under the guidance of alumni board member Beth Baker Owens (1977), several Boettcher alumni and current scholars learned about the importance of living a centered lifestyle, and discovered how mindfulness can positively impact their lives. Our DU scholars even set intentions to integrate mindfulness into their education and community engagement routines, including educating their own students about chakra scanning and sitting meditation. Boettcher Scholar alumni from the Denver Metro area gathered at South Table Mountain Park on April 29 for a hike among flowering wild plums and cliff faces above the City of Golden. Jennifer Meyers (1991), Mallory Bustow (2004), Tanner McManus (2011) and Garrett Mayberry (2011) were joined by Mallory’s husband, Aaron, and Jennifer’s daughter, Maya. 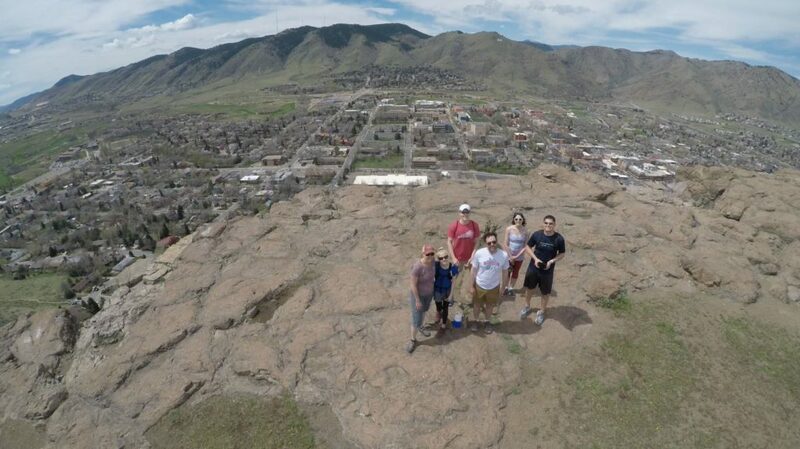 They enjoyed Tanner’s drone photography and an after-hike lunch in Golden.